Seems like we still have on our rose colored glasses because the rose gold trend is still going strong, from accessories, to electronics to wedding colors. 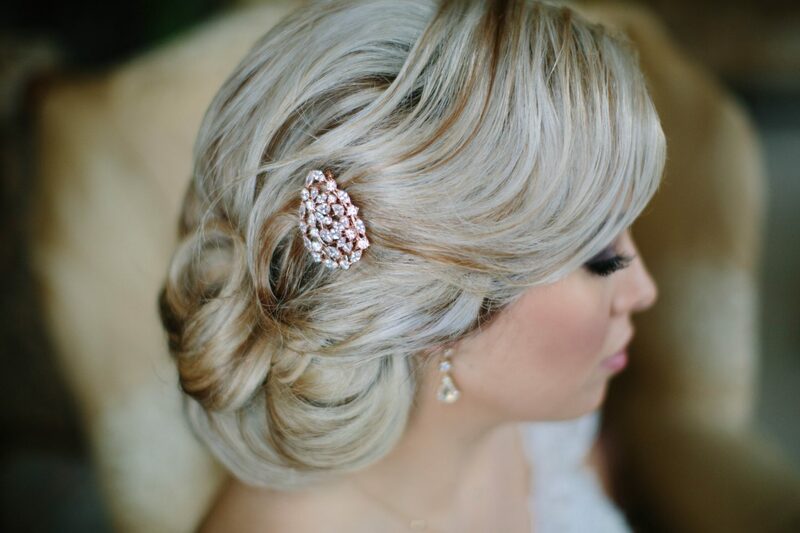 This blush toned hue is perfect for bridal jewelry and is a gorgeous accent to Spring weddings. Rose gold engagement rings have been very popular and wanting to stay in theme with rose gold wedding jewelry will help to highlight that rosy sparkler on your finger. 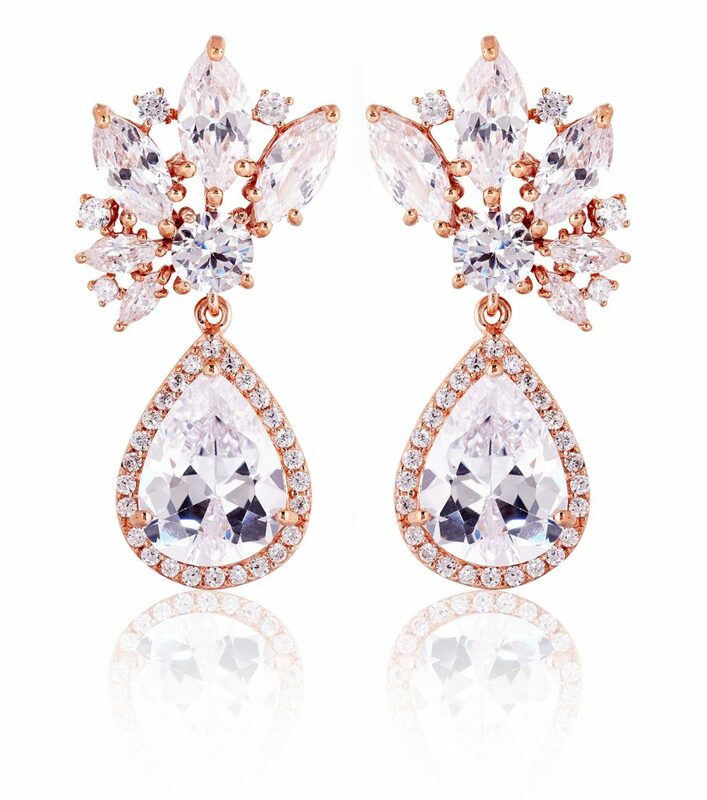 Here are our favorite rose gold wedding accessories to wear on you wedding day. 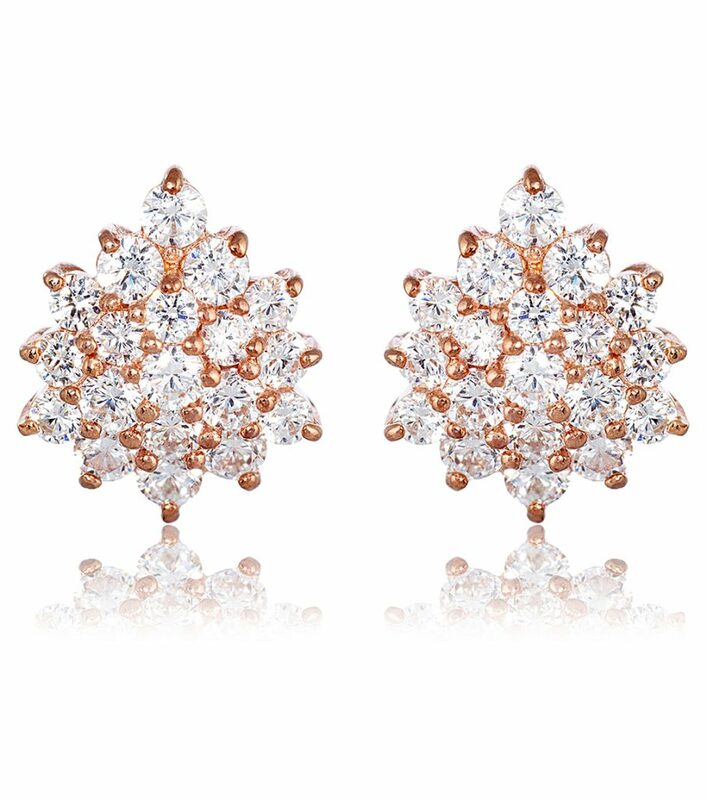 Add some vintage inspiration and major sparkle with these rose gold earrings. These darling little drop earrings are so pretty for your bridal earrings, but if you want to add this hue to your bridesmaids’ wedding day look – these make for great bridesmaid earrings. 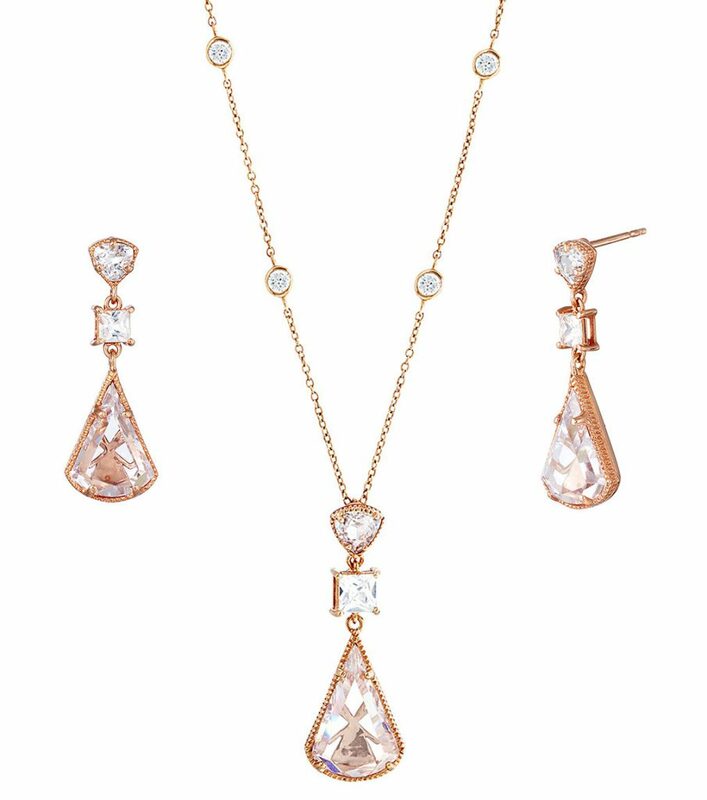 Complete your wedding accessories with this rosy hued jewelry set – against the gold setting the CZs standout and sparkle bright. 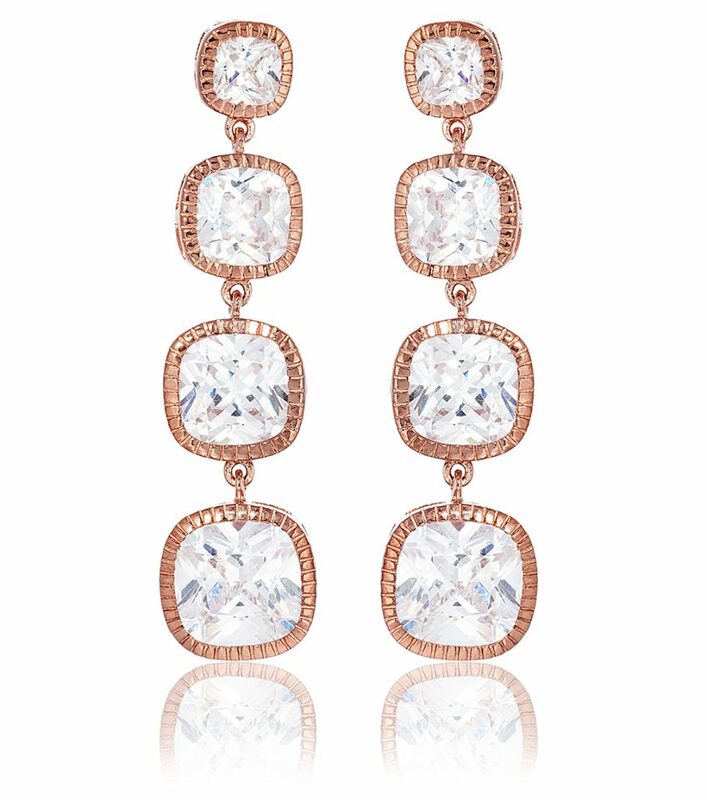 The perfect statement earrings set in rose to bring this soft hue to your wedding day. 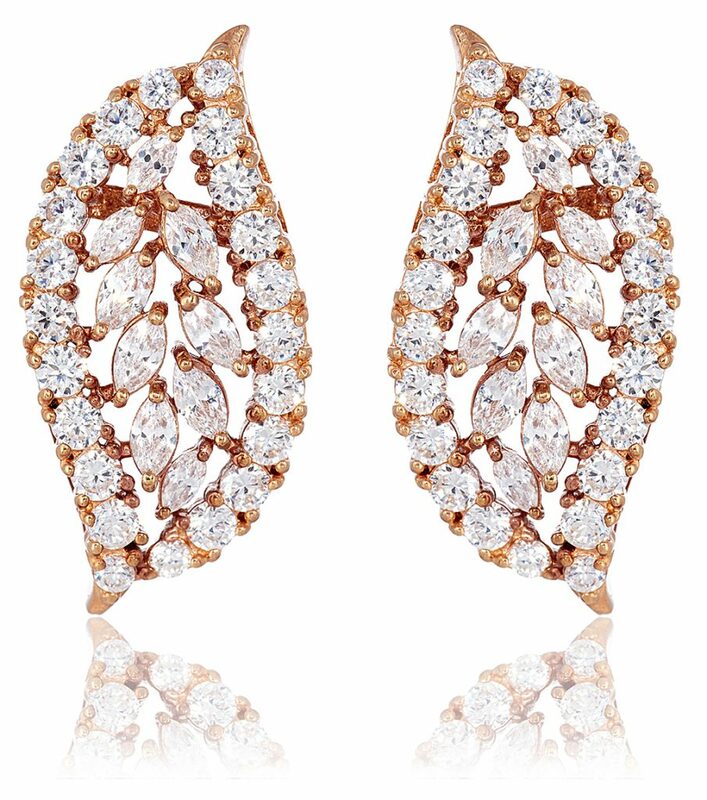 A beautiful pop of sparkle in the most wearable way – rose gold bridal jewelry you will definitely wear again. 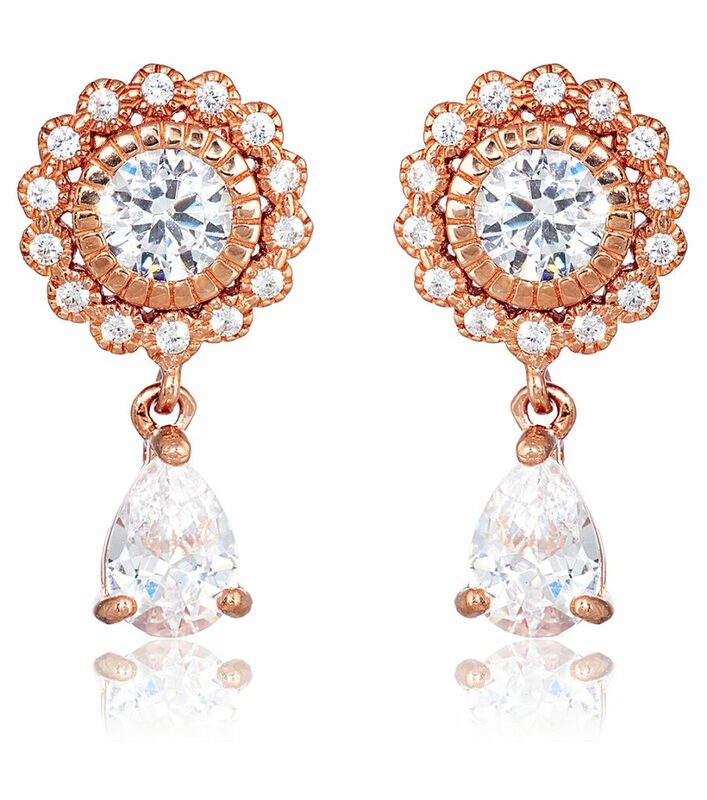 The movement of these drop earrings is enhanced by their metallic setting making them a gorgeous pair of earrings to add the rose to you wedding. 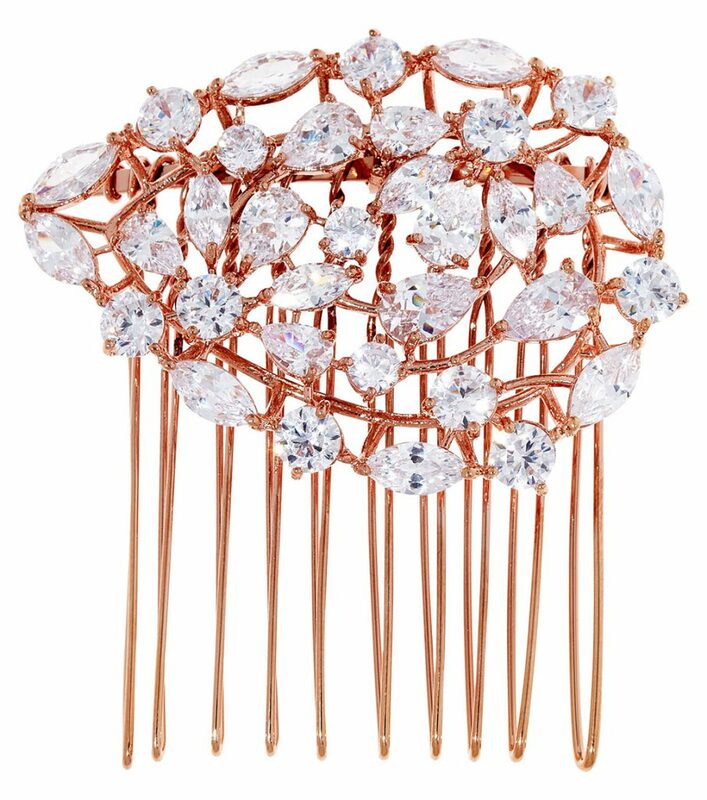 For a hint of rose gold in your hair – this hair comb combines sparkle with the soft hue for a pretty addition to your ‘do. For more jewelry trends to inspire your bridal look – see our Sag Awards Jewelry Round-Up.